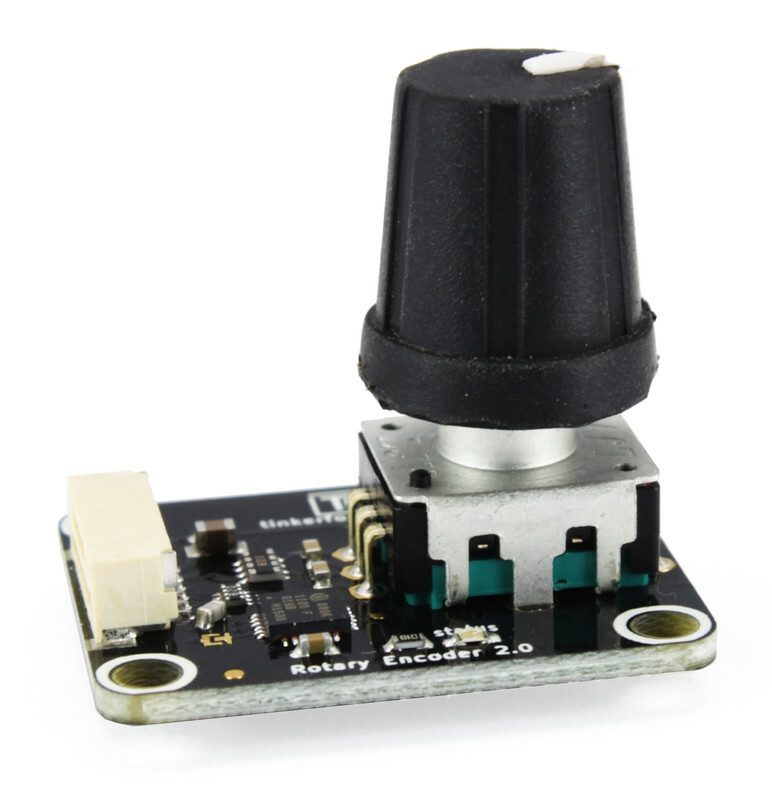 The Rotary Encoder Bricklet extends Bricks and is equipped with a 360° rotary encoder. It has 24 steps per rotation with a nice clicking feel. 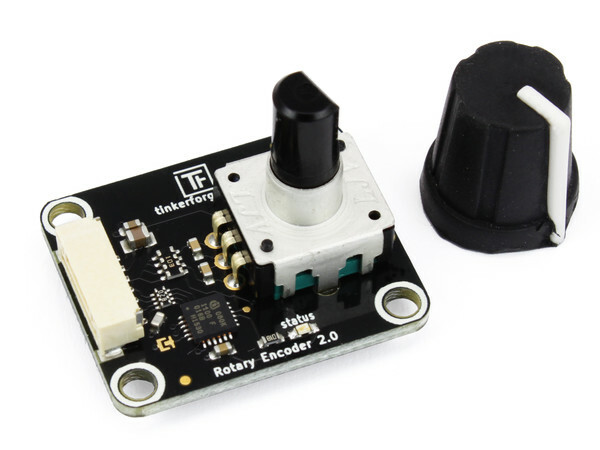 The encoder has an integrated push-button (by pressing on the knob) that can be used to select a menu item or similar. 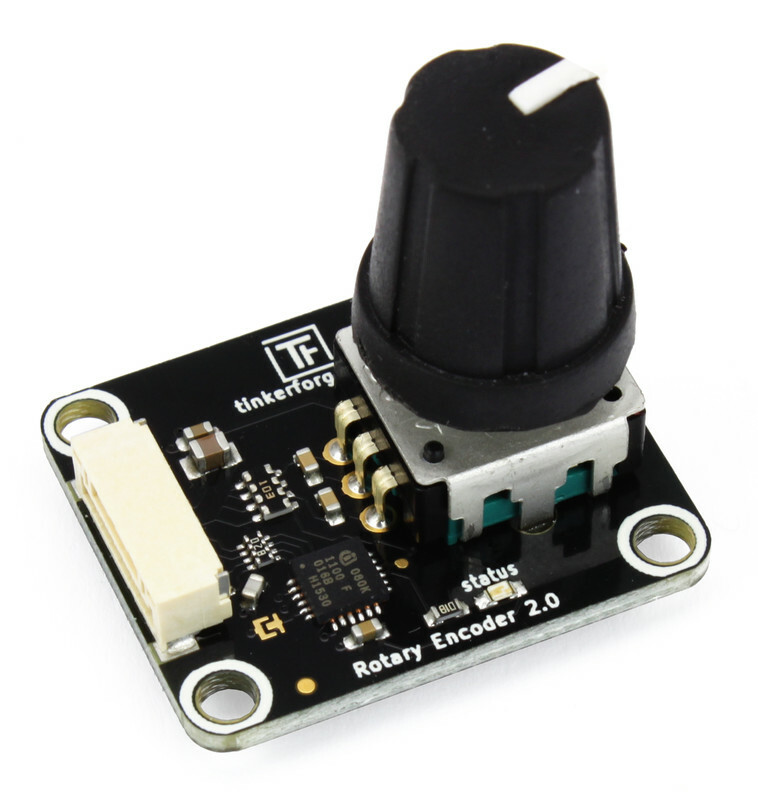 The difference between the Rotary Poti Bricklet and the Rotary Encoder Bricklet 2.0 is that the encoder has full rotation without limits. 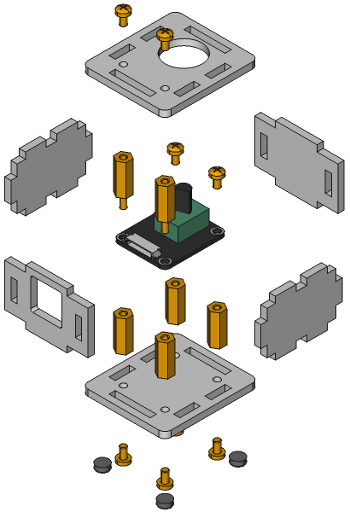 The Rotary Encoder Bricklet 2.0 has a 7 pole Bricklet connector and is connected to a Brick with a 7p-10p Bricklet cable. To test a Rotary Encoder Bricklet 2.0 you need to have Brick Daemon and Brick Viewer installed. Brick Daemon acts as a proxy between the USB interface of the Bricks and the API bindings. Brick Viewer connects to Brick Daemon. It helps to figure out basic information about the connected Bricks and Bricklets and allows to test them. 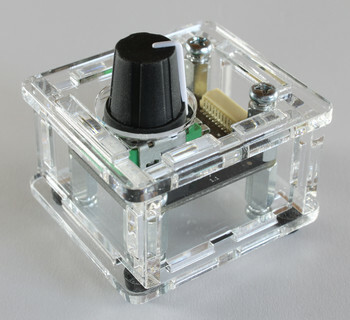 Connect the Rotary Encoder Bricklet 2.0 to a Brick with a Bricklet Cable. 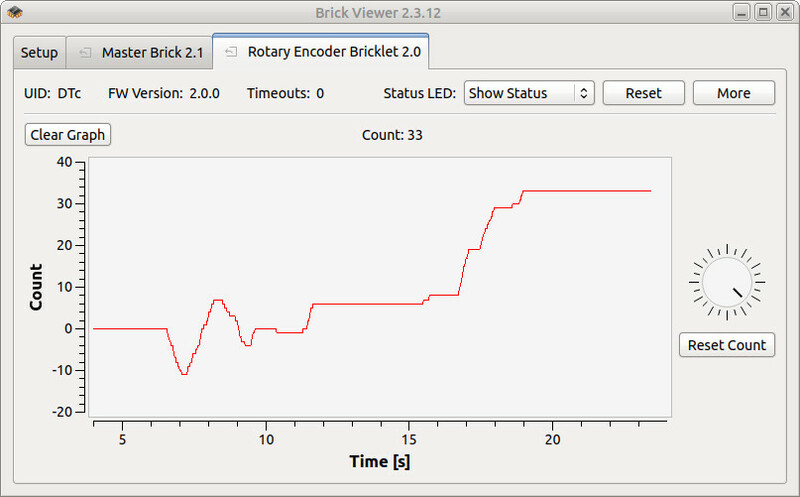 If you connect the Brick to the PC over USB, you should see a new tab named "Rotary Encoder Bricklet 2.0" in the Brick Viewer after a moment. Select this tab. If everything went as expected you can now turn the encoder and see the corresponding count. After this test you can go on with writing your own application. 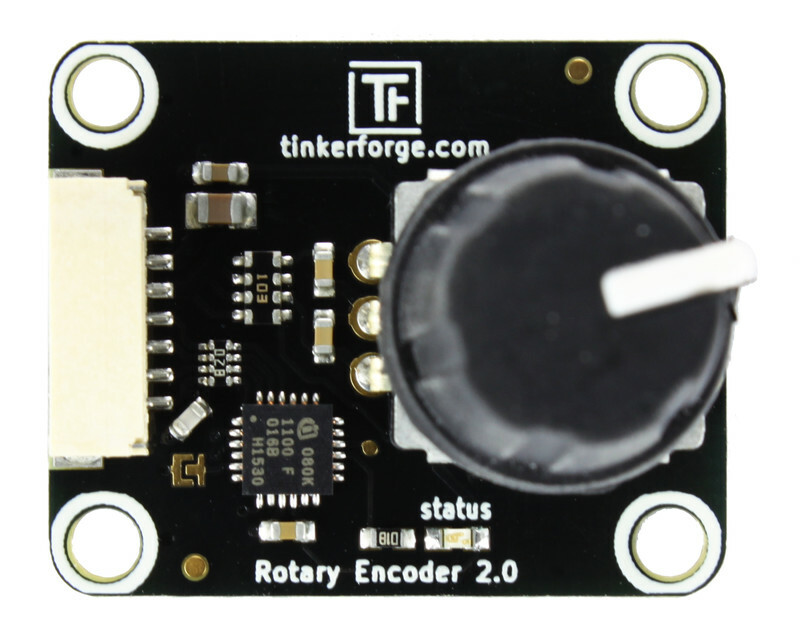 See the Programming Interface section for the API of the Rotary Encoder Bricklet 2.0 and examples in different programming languages. 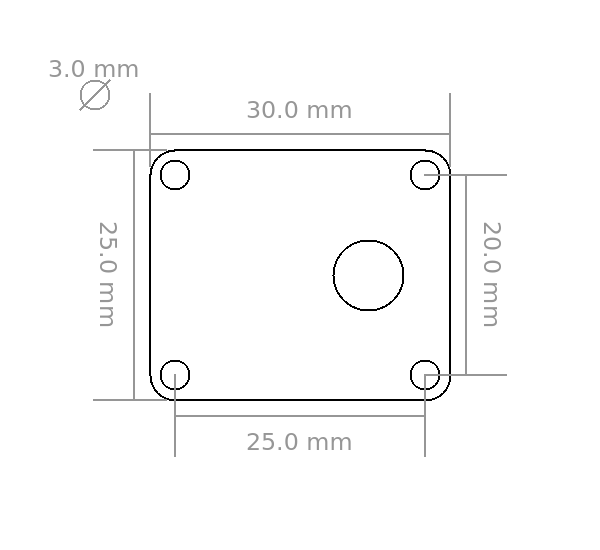 A laser-cut case for the Rotary Encoder Bricklet 2.0 is available.